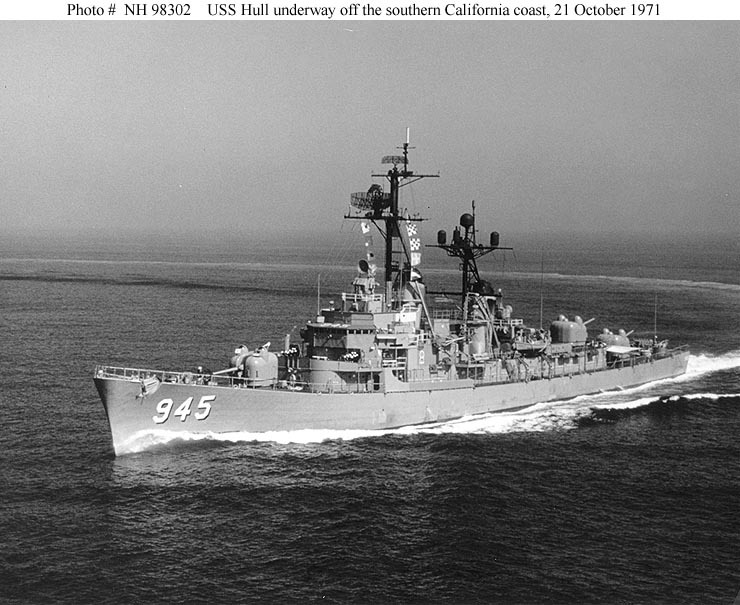 Figure 1: USS Hull (DD-945) underway off the coast of southern California, 21 October 1971. Photographed by PH1 B.L. Kuykendall, USN. Official US Navy Photograph, from the collections of the Naval Historical Center. Click on photograph for larger image. 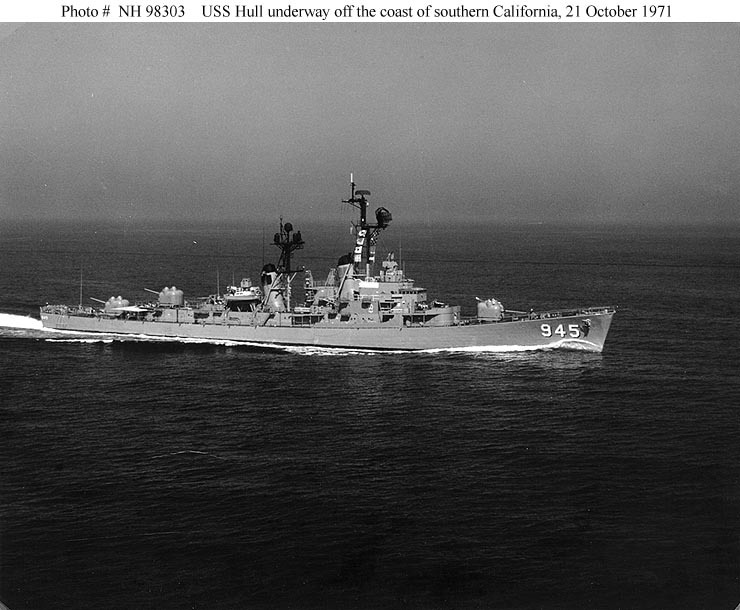 Figure 2: USS Hull (DD-945) underway off the coast of southern California, 21 October 1971. Photographed by PH1 B.L. Kuykendall, USN. Official US Navy Photograph, from the collections of the Naval Historical Center. Click on photograph for larger image. 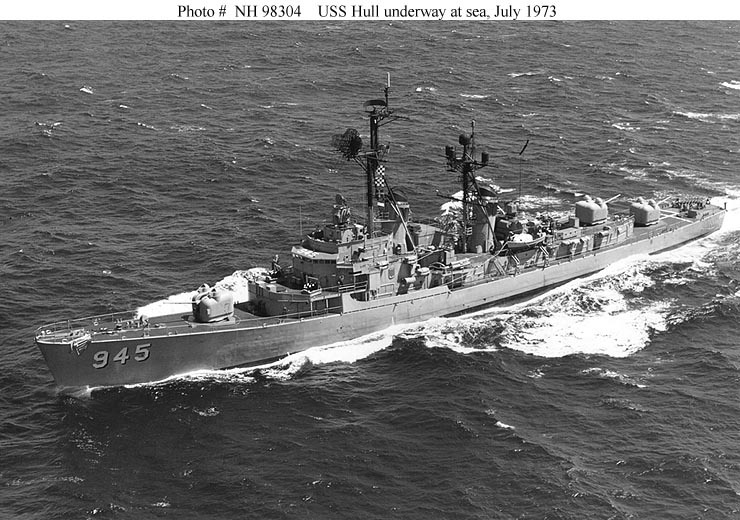 Figure 3: USS Hull (DD-945) underway at sea, July 1973. Official US Navy Photograph, from the collections of the Naval Historical Center. Click on photograph for larger image. 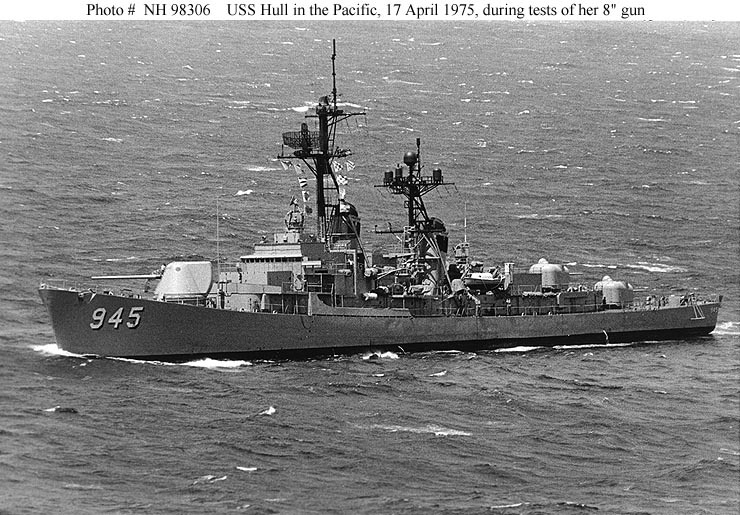 Figure 4: USS Hull (DD-945) underway at sea off the coast of Oahu, Hawaii, 13 July 1973. Photographed by Chief Photographer's Mate C.C. Curtis. Official US Navy Photograph, from the collections of the Naval Historical Center. Click on photograph for larger image. Figure 5: USS Hull (DD-945) underway in the Pacific Ocean, during initial shipboard trials of the Mark 71 8-inch Major Caliber Lightweight Gun, 17 April 1975. Official US Navy Photograph, from the collections of the Naval Historical Center. Click on photograph for larger image. 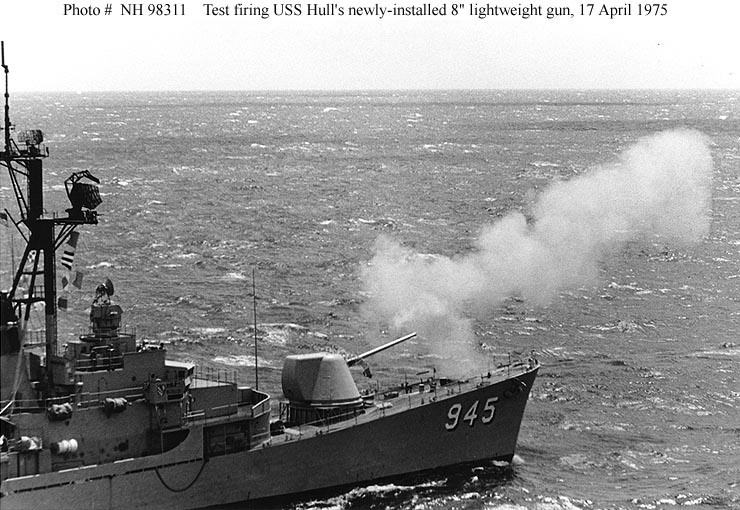 Figure 6: USS Hull (DD-945) underway in the Pacific Ocean, during initial shipboard trials of the Mark 71 8-inch Major Caliber Lightweight Gun, 17 April 1975. Official US Navy Photograph, from the collections of the Naval Historical Center. Click on photograph for larger image. 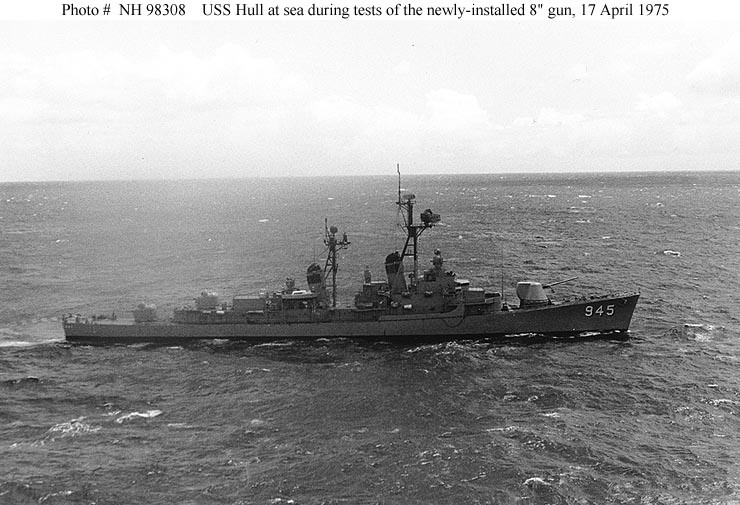 Figure 7: USS Hull (DD-945) underway in the Pacific Ocean, during initial shipboard trials of the Mark 71 8-inch Major Caliber Lightweight Gun, 17 April 1975. Compare the size of the 8-inch gun mount forward with that of the two 5"/54 Mark 42 gun mounts aft. Official US Navy Photograph, from the collections of the Naval Historical Center. Click on photograph for larger image. 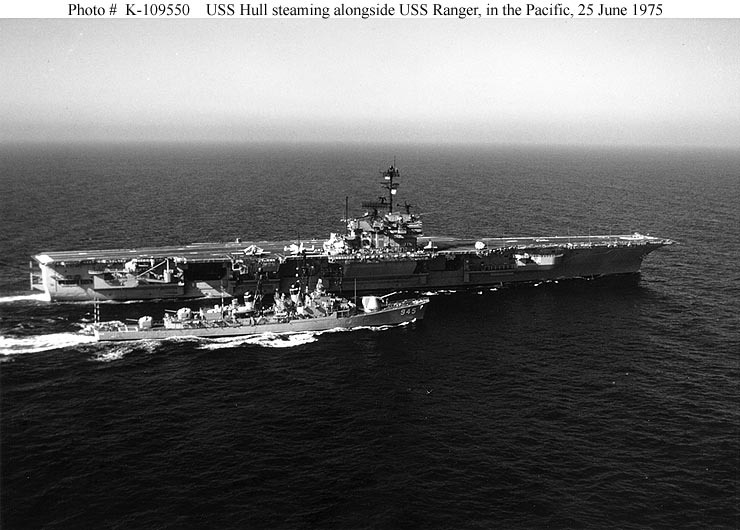 Figure 8: USS Hull (DD-945) steaming alongside USS Ranger (CVA-61) in the Pacific Ocean, 25 June 1975. 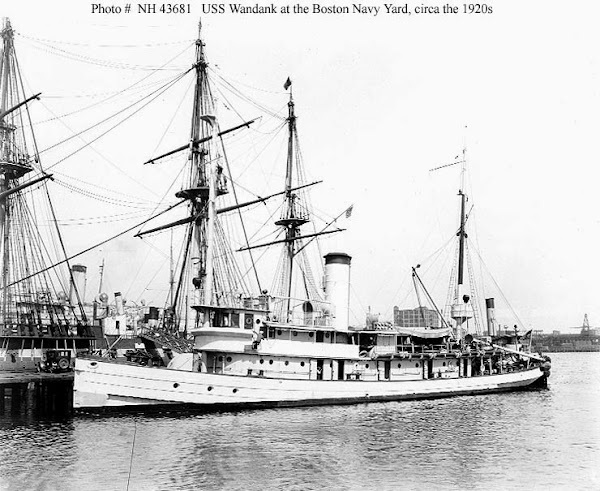 Official US Navy Photograph. Click on photograph for larger image. 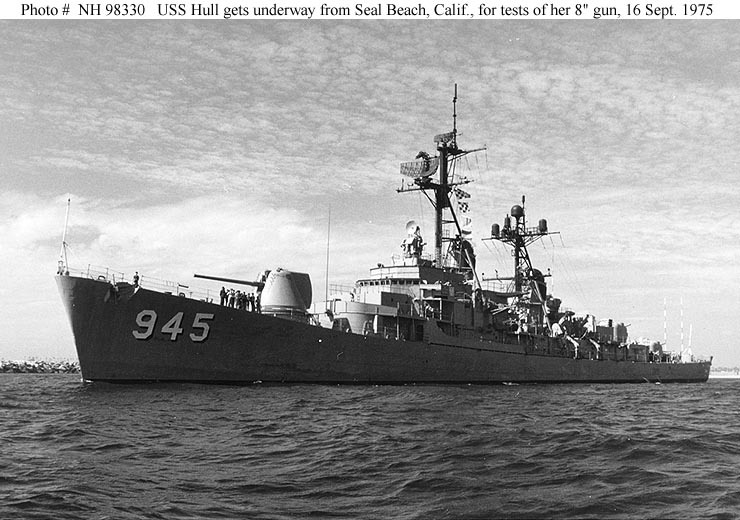 Figure 9: USS Hull (DD-945) gets underway from Seal Beach, California, to conduct tests of her 8-inch Mark 71 gun mount off San Clemente Island, 16 September 1975. Photographed by Photographer's Mate 1st Class Carl R. Begy. Official US Navy Photograph, from the collections of the Naval Historical Center. Click on photograph for larger image. Figure 10: USS Hull’s (DD-945) experimental 8-inch Mark 71 Major Caliber Lightweight Gun undergoes initial shipboard test firings during trials off the southern California coast, 17 April 1975. Official US Navy Photograph, from the collections of the Naval Historical Center. Click on photograph for larger image. 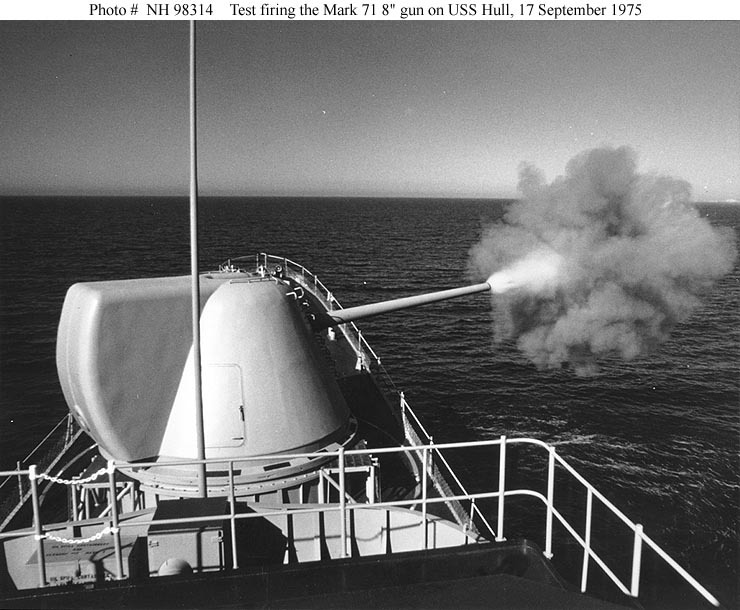 Figure 11: USS Hull’s (DD-945) 8-inch Mark 71 Major Caliber Lightweight Gun is test fired off San Clemente Island, California, 17 September 1975. Photographed by Photographer's Mate 1st Class Carl R. Begy. Official US Navy Photograph, from the collections of the Naval Historical Center. Click on photograph for larger image. Figure 12: Seaman Gunner's Mate David W. Jutz greases the gun barrel chase of one of the Hull’s after 5-inch Mark 42 gun mounts, 1975. 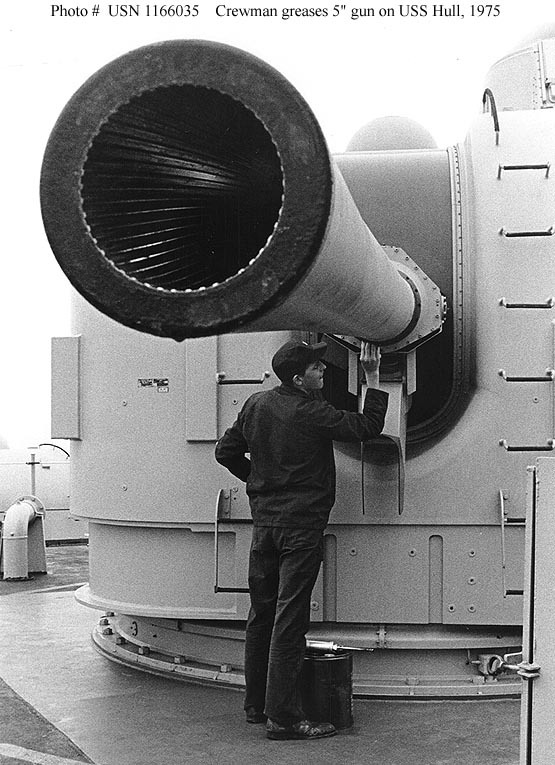 Note rifling inside the gun barrel. Official US Navy Photograph. Click on photograph for larger image. 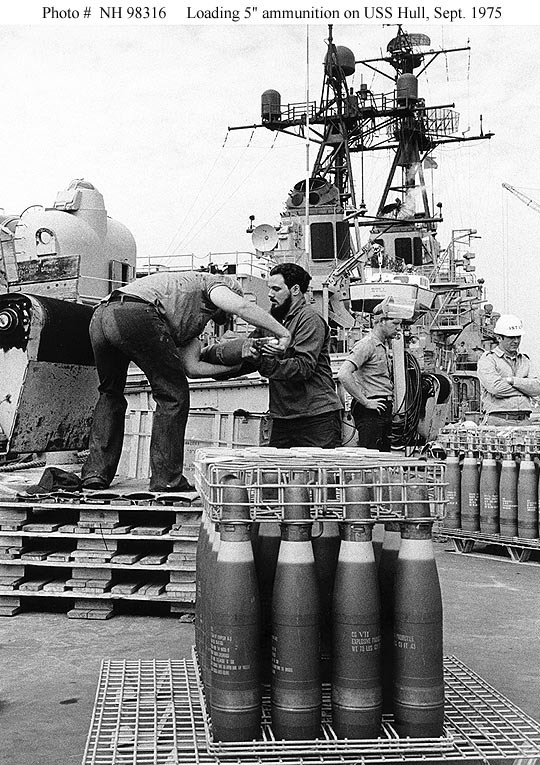 Figure 13: Some of the Hull's crewmen loading ammunition for her 5-inch guns at the Naval Base at Seal Beach, California, 16 September 1975. Photographed by Photographer's Mate 1st Class Carl R. Begy. Note the markings on these 70-pound shells. The 24-foot personnel boat on Hull's starboard davits has serial number 24PER721. Official US Navy Photograph, from the collections of the Naval Historical Center. Click on photograph for larger image. 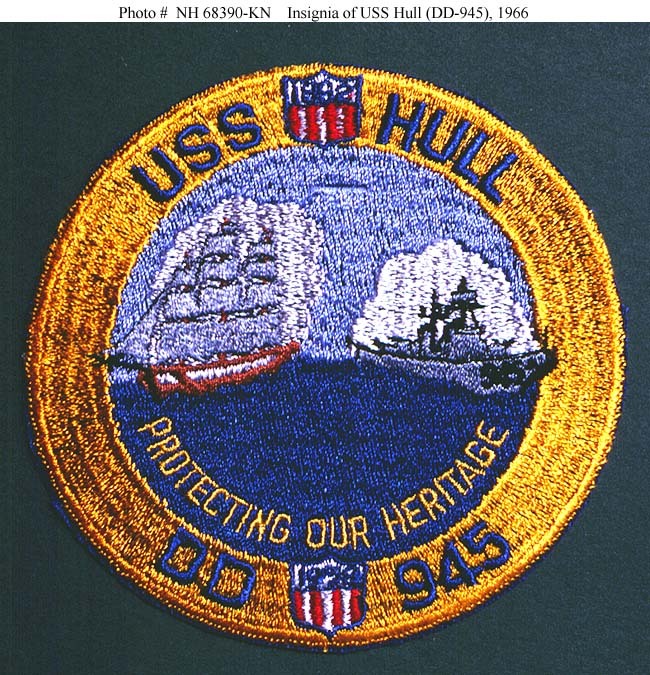 Figure 14: USS Hull’s (DD-945) jacket patch insignia used in 1966. Courtesy of Captain G.F. Swainson, USN, 1969. US Naval Historical Center Photograph. Click on photograph for larger image. Named after US Naval hero Commodore Isaac Hull (1773-1843), the 2,850-ton USS Hull (DD-945) was a Forrest Sherman class destroyer that was built by the Bath Iron Works at Bath, Maine, and was commissioned on 3 July 1958. The ship was approximately 418 feet long and 45 feet wide, had a top speed of more than 30 knots, and had a crew of 324 officers and men. Hull was armed with three 5-inch guns, four 3-inch guns, four 21-inch torpedo tubes, and depth charges. 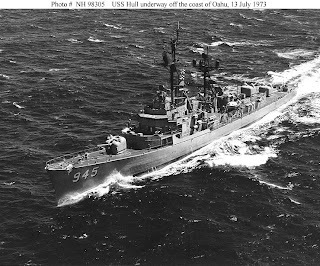 After completing her shakedown cruise off the coast of New England, Hull steamed out of Newport News, Virginia, on 7 September 1958 and headed south to the Panama Canal. 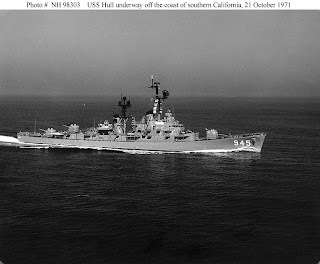 After transiting the canal, Hull headed north and arrived at San Diego, California, on 13 October to join the US Pacific Fleet. The ship participated in fleet training exercises until ordered to sail to the Far East on 15 April 1959. 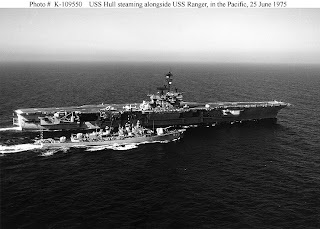 After arriving in the Far East, Hull was assigned to the Seventh Fleet and joined the Formosa (now Taiwan) Patrol, which was designed to defend the island from neighboring communist China. This would be the first of fifteen deployments with the Seventh Fleet in the Western Pacific (WestPac). 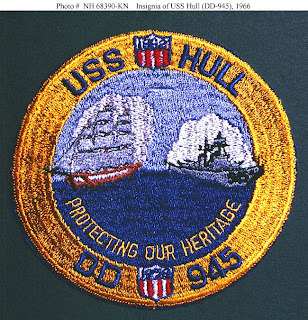 Hull made three more cruises in that area in 1960, 1961-1962, and 1963-1964. During October and November 1962, Hull escorted Pacific-based amphibious forces to the Panama Canal Zone as part of the Navy’s Cuban Missile Crisis operations. Hull’s 1965 Seventh Fleet tour-of-duty was the first of six Vietnam War deployments, during which she fired tens of thousands of five-inch shells in support of US and South Vietnamese forces on shore and helped rescue several downed American pilots. 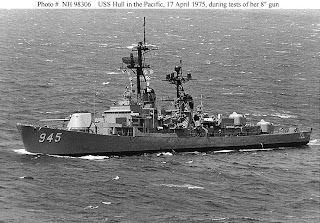 Hull completed her eleventh WestPac cruise in 1973, after the direct American role in the Vietnam War ended. After completing a major overhaul, she lost her 3-inch gun mounts and had her forward five-inch gun replaced by an experimental 8-inch gun. The ship conducted tests of this new 8-inch weapon from 1975 to 1978, while also making her twelfth and thirteenth Seventh Fleet deployments. But the big gun was removed in 1979, and Hull spent the rest of her career with the three 5-inch gun mounts that were common to her class. 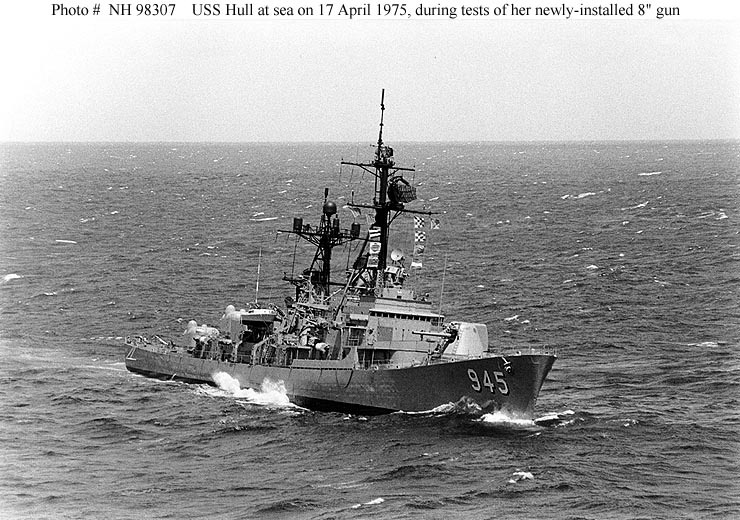 From February to September 1981, Hull again served in Asian waters. She began her final deployment in September 1982, steaming to the western Pacific by way of Alaska, rescuing five Vietnamese refugees at sea in October and then moving further west to serve in the Indian Ocean and Arabian Sea as part of the battle group built around the nuclear-powered aircraft carrier USS Enterprise (CVN-65). Returning to the US west coast in April 1983, she immediately commenced inactivation preparations. USS Hull was decommissioned in July 1983 and was sunk as a target in April 1998.